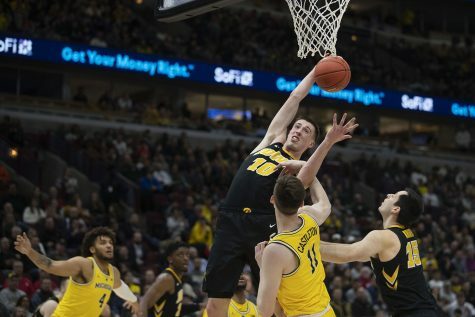 With only one player with NCAA Tournament experience, Iowa needs to get itself ready for its matchup with Cincinnati on Friday. 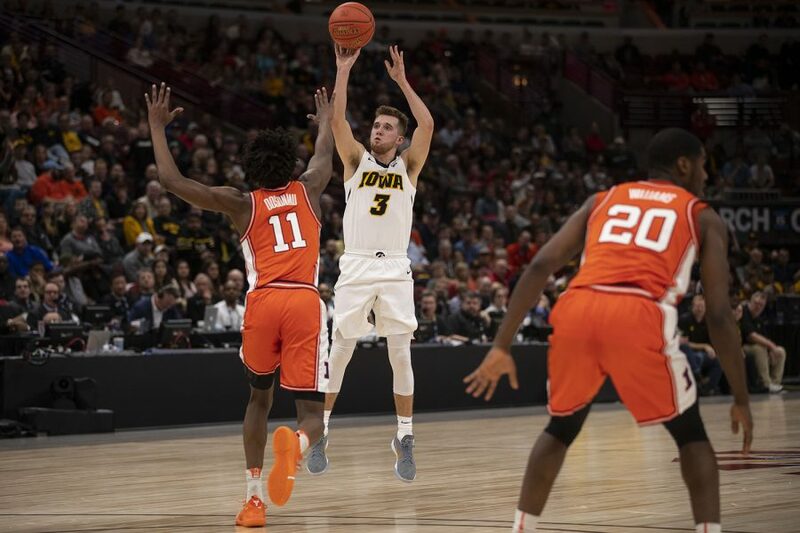 Iowa guard Jordan Bohannon attempts a 3-pointer during the Iowa/Illinois Big Ten Tournament men's basketball game in the United Center in Chicago on Thursday, March 14, 2019. 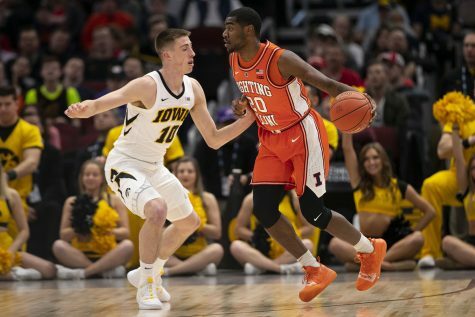 The Hawkeyes defeated the Fighting Illini, 83-62. The Iowa men’s basketball team could watch this year’s Selection Show with a little more excitement on Sunday. 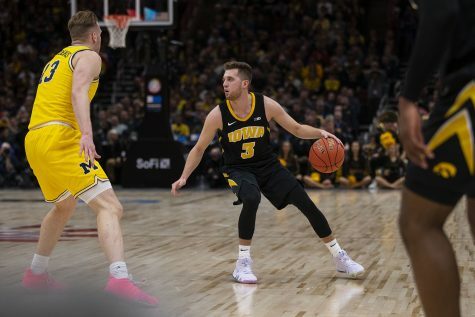 After a two-year hiatus from the NCAA Tournament, the Hawkeyes sat in their black and gold locker room to find out they were heading to Columbus, Ohio, as a No. 10 seed to take on No. 7 Cincinnati on Friday. Cincinnati is a tough draw for Iowa as a No. 7 seed. The Bearcats certainly could have been seeded higher as one of the better defensive teams in the country. Cincinnati ranks 11th in the country in scoring defense, giving up only 62.0 points per game. That mark would place third in the Big Ten, trailing only Michigan and Wisconsin. 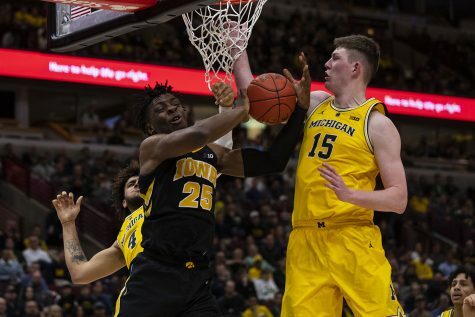 McCaffery said the Bearcats defend like a lot of teams in the Big Ten and possess the same athleticism as a lot of teams in the conference as well. 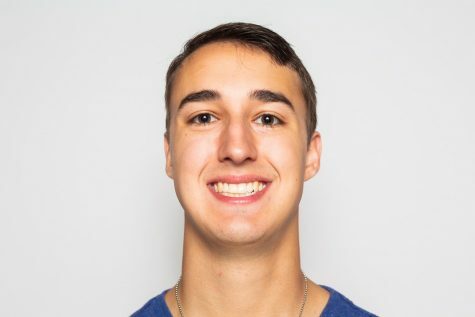 Despite the stellar scoring defense, Cincinnati is 259th in the country in 3-point defense, allowing opposing teams to shoot at a 35.7 percent clip from beyond the arc. Iowa owns a stellar offensive attack with a number of shooters and can match up relatively well against a team like Cincinnati. 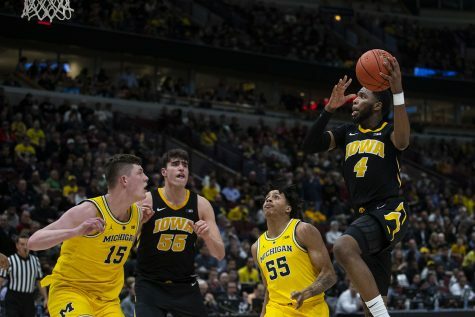 While Iowa has finally found a way to get back to the Big Dance, the years away brings a bit of a disadvantage. 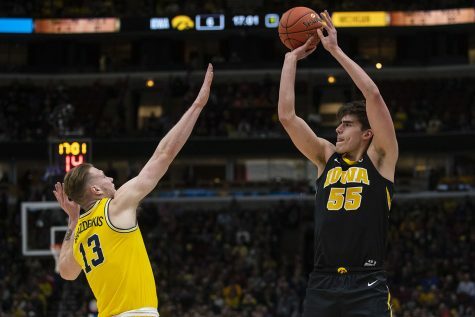 Nicholas Baer is the only player on the Hawkeye roster with NCAA Tournament experience, while the rest of the team will be gearing up for their first go-around. The team has had a roller coaster of a season, which could help it prepare for the chaos the tournament brings. The Hawkeyes went undefeated in nonconference play, winning a 2K Classic title early in the season. 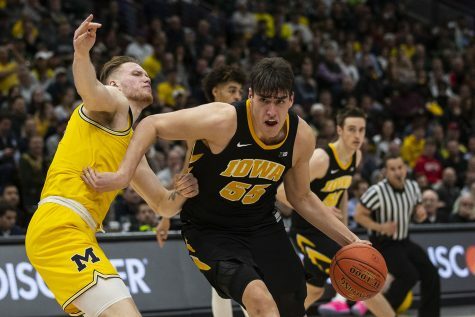 Iowa toppled eventual Pac 12 Tournament champion Oregon in that tournament and beat eventual Big 12 Tournament champs Iowa State three weeks later. Recently, though, Iowa has gone through a rough patch, dropping five of its last six. What may be most important is which Hawkeye team shows up in Columbus. “This is a very businesslike group,” McCaffery said. “They appreciate the opportunity. They know what it means, and no question that they’ll focus and lock into what we need to teach in terms of the game plan.